William Paterson University formed The Cannabis Institute amid recent talks of marijuana legalization in New Jersey. When Phil Murphy was elected as New Jersey governor in 2018, he made it clear that he wanted to legalize recreational marijuana. 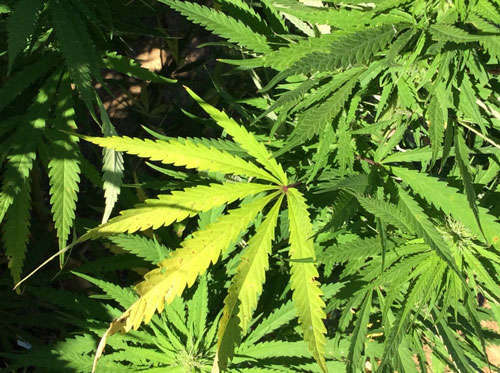 Now one year later, marijuana still remains illegal. Murphy, however, has also made it clear that if the legislation to legalize cannabis finally gets to his desk, he will sign it into law. Since the legalization of marijuana in NJ is now an ever-increasing possibility, William Paterson University decided to take action. Thus, The Cannabis Institute was created. The Cannabis Institute is comprised of several highly qualified faculty members from various departments at WPU. The Institute is lead by Dr. Rahi Abouk. Abouk is an associate professor of economics, finance and global business. He specializes in health economics and the economics of substance abuse. He conducts research on public policies in relation to cigarettes, alcohol, cannabis and opioids. Elizabeth Amaya-Fernandez, MPH, the wellness coordinator of the Counseling, Health, and Wellness Center will also be a key part of the Cannabis Institute’s panel. She has 20 years of experience in college health and health education. Biologists Dr. Claire Leonard and Dr. Emmanuel Onaivi are on the panel to give their perspective on the science of cannabis and its effects. They have both conducted research on the molecular biology of cannabinoid receptors in the brain and the general molecular biology of substance abuse. Dr. Glen Sherman, Associate Vice President and Dean of Students at WPU is a clinical psychologist. He will advise the panel using his background as a psychologist and his history of playing a significant leadership role in the prevention of substance abuse in Passaic County. The Cannabis Institute team is comprised of 12 WPU faculty members. The team will discuss research on cannabis from multiple angles. They will give a comprehensive assessment of marijuana’s effects on student performance and student health. They will assess the pros and cons of marijuana and help inform both lawmakers and the WPU community of the details of their findings. This newly formed institute will be available as a form of advisement for state, county or municipal agencies seeking information concerning medicinal and recreational use of marijuana. Other NJ colleges have also decided to get involved in cannabis research. Stockton University offers both a course in cannabis law and a minor in cannabis studies, while Rutgers University offers a course in medical marijuana practice and policy issues.